Want to be an A&R person? You Already Are. In this edition of “The Thinking Drummer,” we’re going to discuss a method of evaluating bands you might be considering playing with. The method is also useful for evaluating your own playing. If you are serious about your drumming or about your career as a musician (regardless of your instrument), you might consider taking the approach of an A&R person. 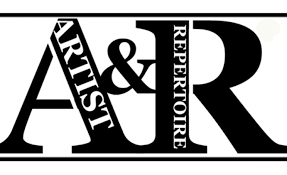 For those of you who don’t know, A&R stands for “artists & repertoire.” It’s a title given to those people in a record company whose job is to find and develop new talent. Recently, I’ve noticed many accomplished musicians playing live who are seemingly unaware of glaring musical flaws in their groups. Imagine a band led by a keyboardist whose playing on the keys is quite stunning. You’re listening and thinking, “hey, this seems promising.” But then, she leans into the microphone and begins to sing. Yikes!! Game over. Her singing is less than mediocre. I know this person and I respect her musical skills at the piano immensely. But I don’t understand how she doesn’t know that her singing isn’t very good. She has to be a good listener. She has to be able to tell good notes from bad. You can’t become great at an instrument without having good ears and the ability to hear something, understand it and then replicate it. It takes real creative listening to be able to do that. But what if she decided that she was going to evaluate her own band’s music (including her own singing) as a neutral third-party who is in charge of signing acts to a record label? Surely, then she would face the truth. This is what I’m suggesting to all of you (drummers and all musicians) who are trying to get ahead in the music game. Pretend you are the head of A&R for a record label. Use that detached view and evaluate the musicians in the bands you play in. Is everyone good at their instrument? Do they play with taste and a good time feel? If they are soloists, do they have something to say when it’s time to solo? Do they have technique? Check out the songs. Are they any good? It’s common that I see bands who have a decent level of musicianship but no good songs. And then, sometimes I see an otherwise good band that has one weak link, like one musician who really is not up to the level of the others. Be brutal and truthful in your assessments when you’re considering joining up with a band. Pretend you have a record label and you’re trying to decide who to sign. I’m not saying you shouldn’t play with people unless they’re ready for a top charing hit song. There are reasons to play with people despite understanding there is a flaw in the project. But be aware. Know what you’re getting yourself into. Evaluate the chances of success of each project. In addition, don’t forget to take this same detached view of your own playing. What are your flaws as a musician? Take a look at your playing and work to eliminate your weaknesses. It’s hard to do this if you don’t put on your A&R person hat and take an unbiased, detached view.